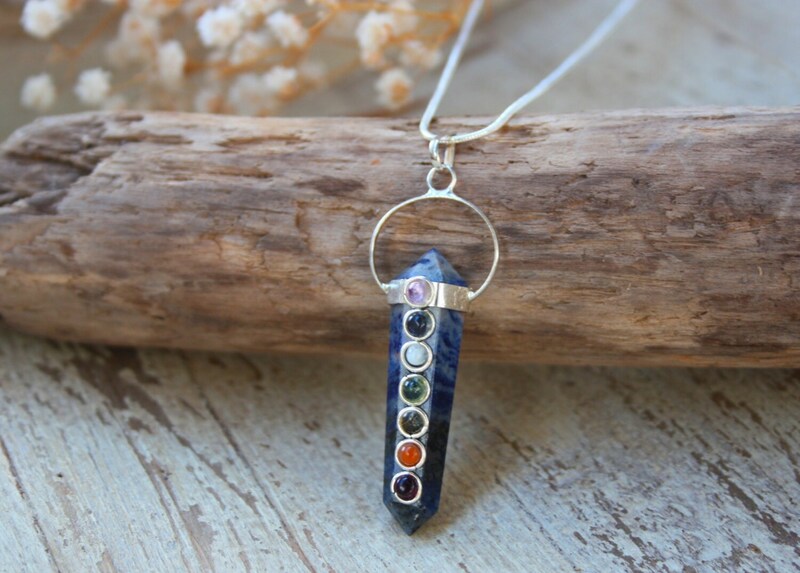 7 Chakra Healing crystal Sodalite necklace on 925 sterling silver chain. Each of your seven chakras has a corresponding color that follows the colors of the rainbow: red, orange, yellow, green, blue, indigo, and violet (or white). Crystals help to balance chakras, re-align energies, cleanse the aura and restore harmony to wearers. 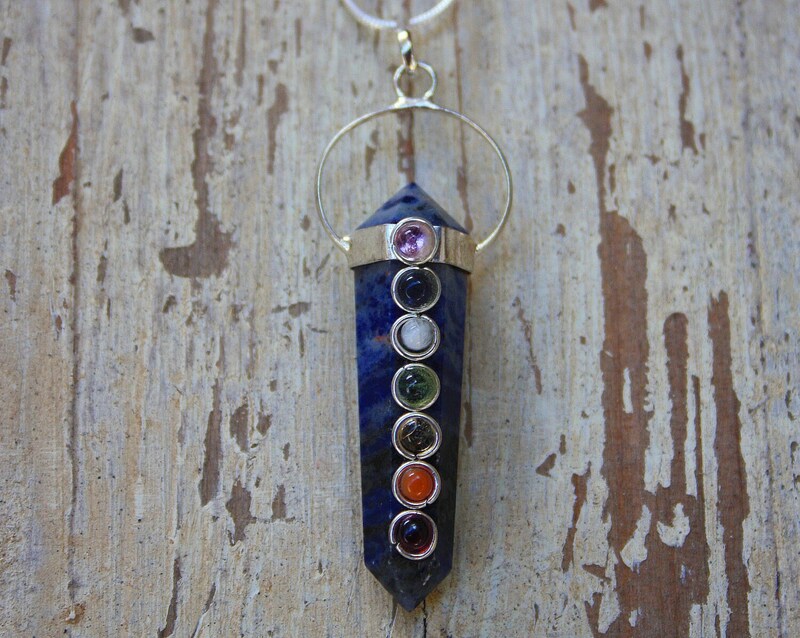 Align your chakras and bring internal peace and harmony with our handmade 7 chakra necklaces. Wearing or working with all stones at once helps to bring focus to each individual chakra and improve and unblock all of them. Sodalite brings intuition and logic together and helps to activate the third eye chakra. It is a stone used to take you towards your goals and ideas of idealism, while staying true to your beliefs. Sodalite eliminates confusion and aids clarity. *All of our Chakra Jewellery is handmade and totally bespoke, we usually only make one of everything so get it before it's gone!